On Thursday, June 28th, the Rio Nuevo Board approved the nearly $16M fiscal year 2019 budget. Revenue in the new fiscal year is expected to exceed expenses by $2.9M, which Board Chairman Fletcher McCusker said would be invested in economic development projects. Revenue includes sales tax collected by the State of Arizona from Rio Nuevo District businesses and is returned to the District for investment in economic development projects, an anticipated $13.2M. Revenue also includes rent from the Tucson Convention Center, $1.28M, and the Greyhound bus terminal, $76K. Expenses include principal and interest payments on bonds issued by Rio Nuevo for its projects as well as those issued by the City of Tucson-run Rio Nuevo board before 2010. Other expenses include $1.29M in rebates of the District’s share of sales tax that are part of development agreements with 5 North Fifth, TCC and MSA Annex. Operating expenses include salaries for the Chief Financial Officer and Administrative Director and payments for legal services. 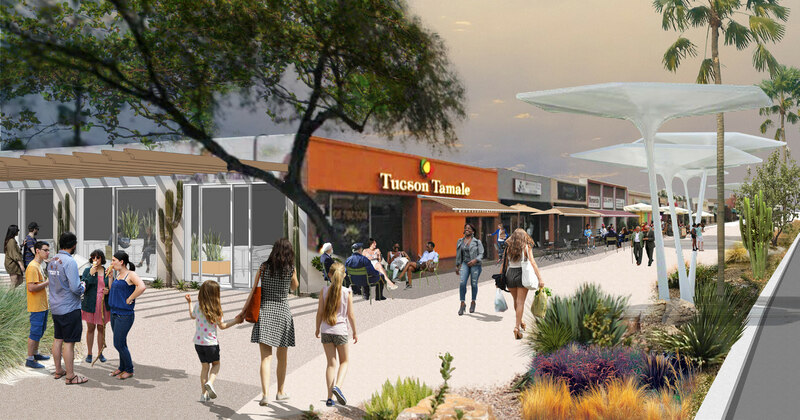 Also included is $146K for Project for Public Spaces (PPS) to assist with the revitalization of 39 parcels that the City of Tucson is acquiring for its Broadway widening project. Rio Nuevo will work with PPS, stakeholders and the public on the development and reactivation of the parcels as part of the Sunshine Mile project. The Board voted unanimously to authorize counsel and executive officers to finalize and execute a ground lease with Pima County for 75 E. Broadway and a sublease with J.E. Dunn, which will be constructing the retail/office/parking project. Architect Phil Swaim told the board that J.E. Dunn expected to begin construction at the end of 2018.